Dr. Mike Kingston came to Elon University in 1991 after completing his Ph.D. degree at Duke University. He also holds a B.S. degree in Marine Science with a concentration in Biology from Long Island University, Southampton College campus and an M.S. degree in Ecology and Evolutionary Biology from the University of California, Irvine. In addition to his position as an Associate Professor of Biology, he serves as the Curator of the Elon University Roger Barbour Collection of wildlife images. 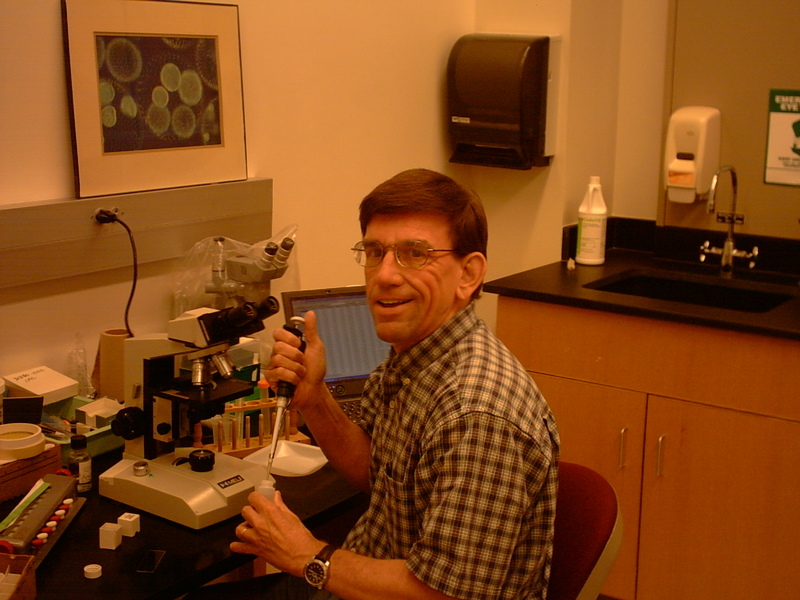 He served as the Biology Department Chair from 2002-2006. He teaches a variety of courses for the Biology Department and the Environmental Studies Program on the following topics: population biology, aquatic biology, field biology, ecology, biostatistics, environmental issues of Southeast Asia, and ecological research. He has taught winter term field courses in Jamaica for 2 years and Belize for 5 years. He has also taught Marine Ecology and Marine Invertebrate Zoology as an adjunct summer faculty member at the Duke University Marine Laboratory. Over the last 20 years, his research interests have centered on the evolutionary ecology of benthic marine and freshwater microalgae with a focus on the genus Euglena. He has conducted field research in California, Oregon, and Alaska as well as North Carolina. Undergraduate students have served as co-investigators and coauthors on some of these projects. He has also mentored undergraduate research projects in areas outside his professional research area including studies of feeding behavior in fiddler crabs, visual perception of freshwater fishes, community metabolism of small ponds, vertical migration of pond phytoplankton, hurricane effects on a North Carolina forest, historical human survivorship trends, fish herbivory on tropical seagrasses, coral reef diseases, freshwater invertebrate development, and grouper recruitment in the Caribbean. His on-going professional associations include the Phycological Society of America and the North Carolina Academy of Science (NCAS). He has recently served as a member of the NCAS Board of Directors, the Editorial Board for the NCAS Journal, the Chair of the 2010 Annual Meeting Committee, and the Chair of the 2011 Annual Meeting Host Committee. In past years he has served the Academy as its Vice President, Annual Meeting Coordinator, and a member of the grants-in-aid of undergraduate research committee. His professional service includes serving as a peer reviewer for the Journal of Phycology, the Journal of Diatom Research, the European Journal of Phycology, and the Journal of Marine Biology and Ecology. Spawning aggregations, nursery enhancement, and ontogenetic movements of Nassau grouper, Epinephelus striatus, in the waters around South Caicos.